brommel: What would the world do without Indonesia? Simple question, simple answer. Global public loudspeaker production would decrease dramatically and Indonesians could sleep longer since they wouldn't be woken up at 4:15AM every day. 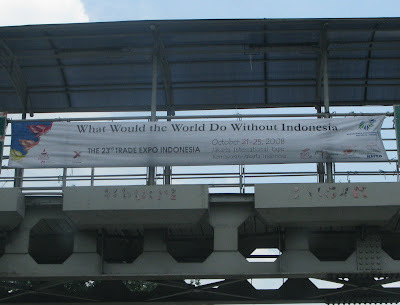 Photo from Jakarta, October 2008.